Vegetable tanned leather belt for a worn but contemporary effect. Traditionally and entirely made in Italy, from the cut of the leather and the stitching to the essential laser cut Scrambler logos. 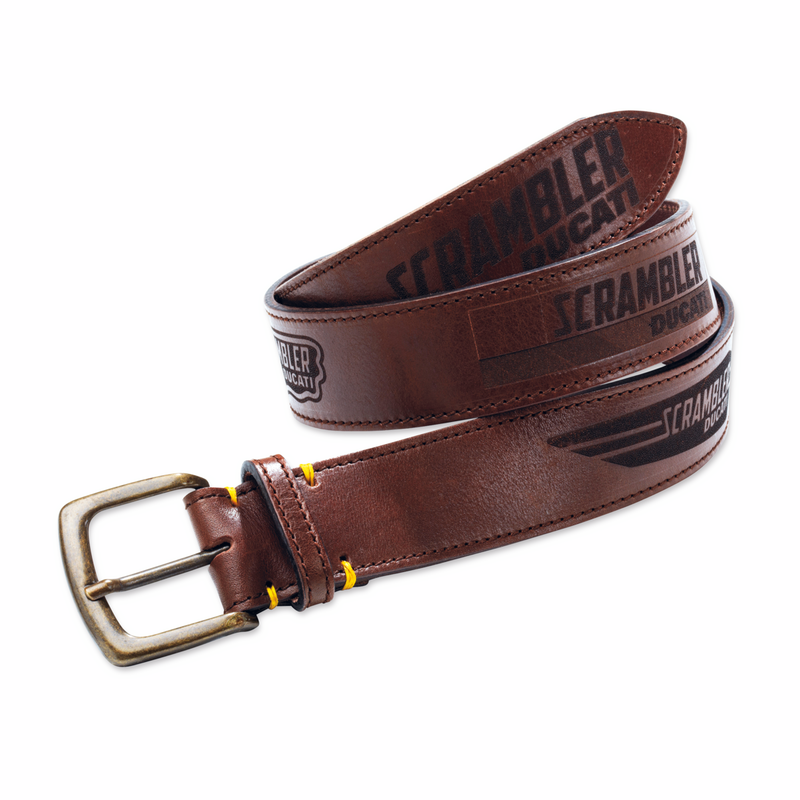 The essential yellow hand stitching and brass buckle complete the accessory, fully respecting postheritage tradition. Available in three sizes: 90-100-110 cm.